The U.S. Constitution requires the president "from time to time give to the Congress Information of the State of the Union, and recommend to their Consideration such measures as he shall judge necessary and expedient." Article II, Section 3, Clause 1. 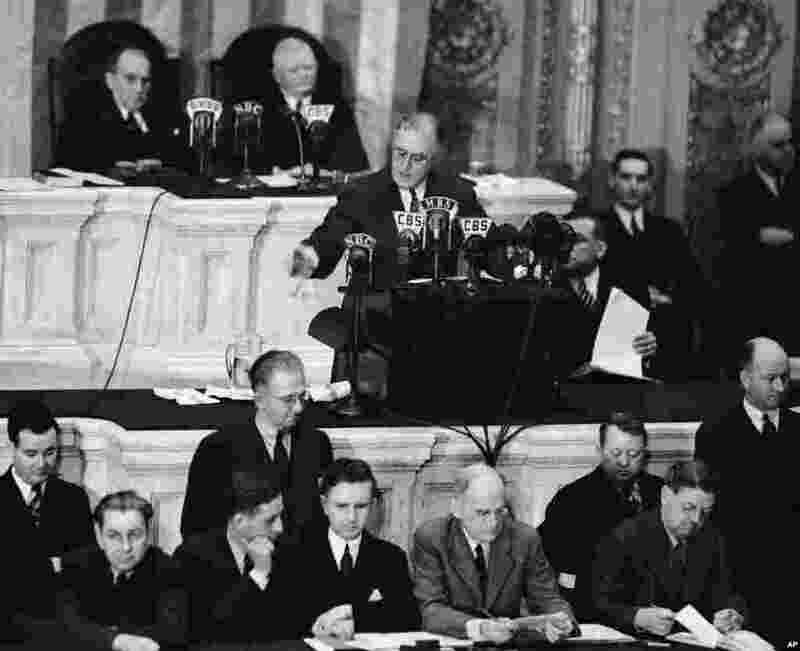 1 President Franklin D. Roosevelt addresses both houses of Congress in Washington, Jan.4, 1939, for a State of the Union speech focused largely on American defense. 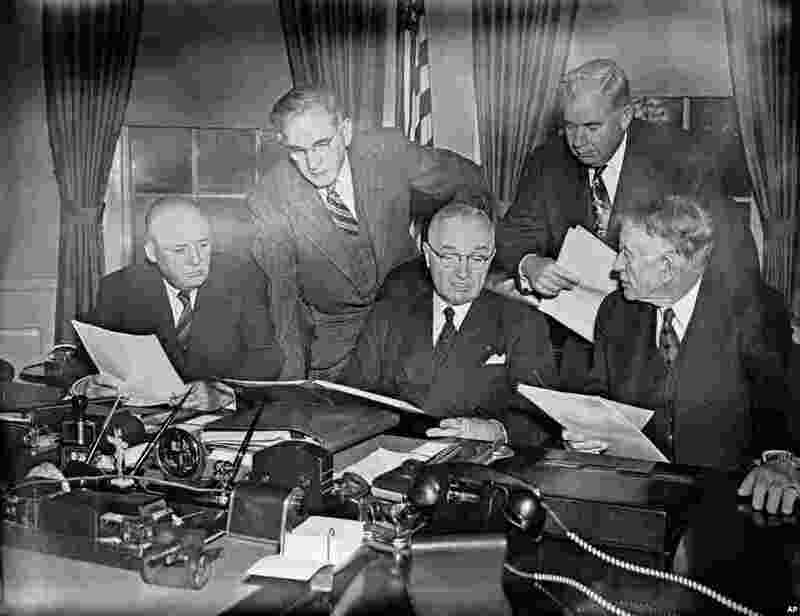 2 President Harry Truman checks the final draft of his “State of the Union” speech with congressional leaders before going to the capitol to deliver it, Jan. 8, 1951. 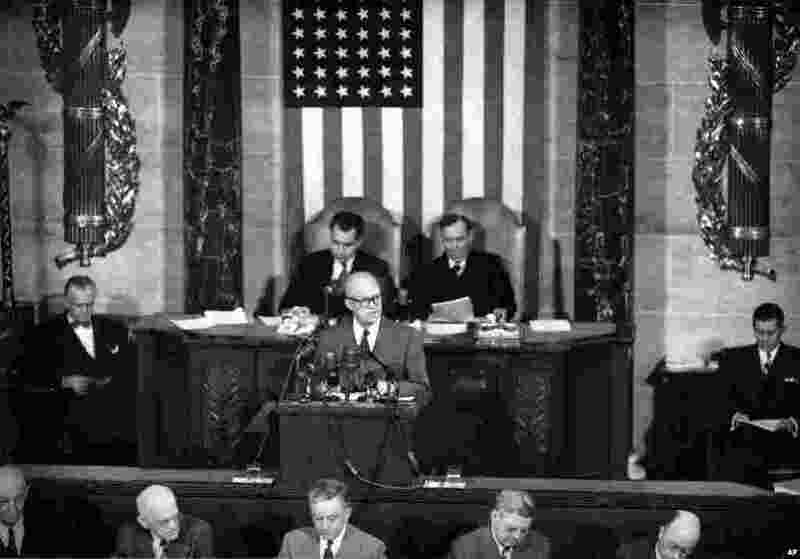 3 U.S. President Dwight Eisenhower delivers his first State of the Union Address before a joint session of Congress in Washington, Feb. 2, 1953. 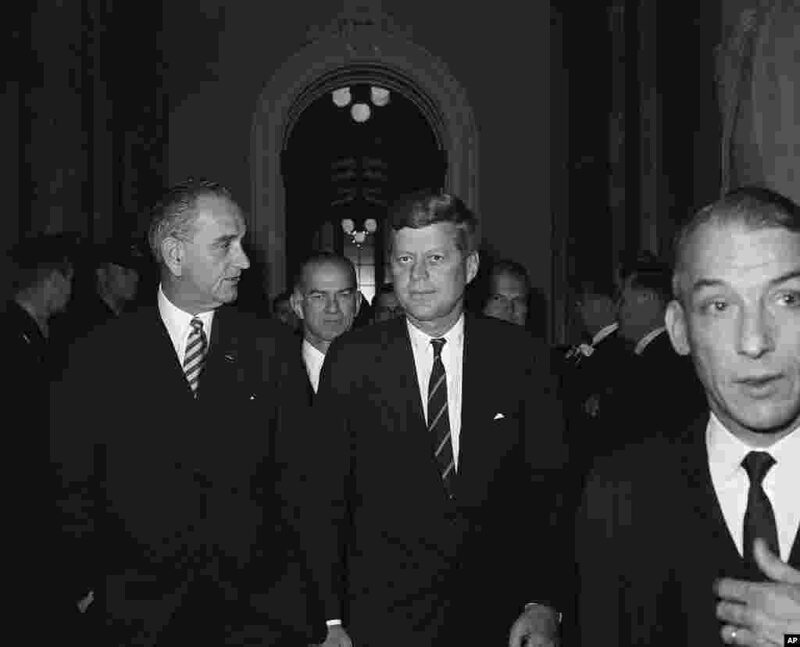 4 President John F. Kennedy walks through the halls of the Capitol after delivering his State of the Union address, Jan. 30, 1961.